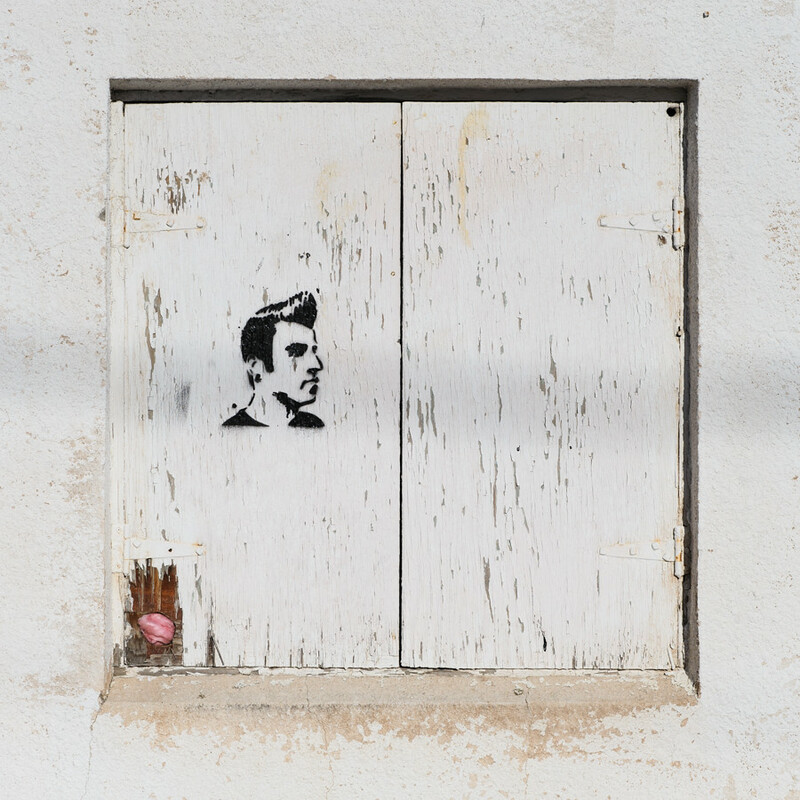 Met Brohemus for coffee this morning and caught this Elvis hatch on the side of the old Legion Hall. Hatch is Morrissey-compatible. On Dupont, this is Waterloo. This entry was posted in photography and tagged 1shot, graffiti, waterloo. Bookmark the permalink. I don’t think that’s Elvis. Just a 50/60s-esque hipster with an earring, side burns and a soul patch.